Sciblogs | The Smokefree 2025 goal is in danger of receding – will the Ministry of Health’s ‘realignment’ get it back on track? The Smokefree 2025 goal is in danger of receding – will the Ministry of Health’s ‘realignment’ get it back on track? The Ministry of Health proposes realigning tobacco control services to progress New Zealand’s Smokefree 2025 goal. However, will a ‘realignment’ of existing services ensure the goal is realised? In this blog, based on a recently published letter in the New Zealand Medical Journal (1) we suggest it may help. However, we argue more fundamental change is required and outline how the Government could do more and the priority actions that could catalyse achievement of this world-leading goal. A recent news item read: “The national target of being smokefree by 2025 will not be met without a massive shake-up of funding for anti-tobacco groups, the Ministry of Health now concedes” (21 April, 2015). This statement implies that reconfiguration of the NZ tobacco control sector is the key to achieving Smokefree 2025. So what is this realignment and is it essential to achieving the Government’s Smokefree 2025 goal? The realignment will see all face-to-face stop smoking services, and local and national health promotion and advocacy services contracts, end in June 2016, when they will be re-tendered (2). This action responds to the recent ‘Review of tobacco control services’ (3) and emerging evidence (4,5) that the Smokefree 2025 goal will not be achieved with a business as usual approach. There are some welcome aspects of the proposed realignment. Firstly, it has heralded greater focus on the Government’s Smokefree 2025 goal, and an acknowledgement that we are not on track to achieve it, particularly for Māori and Pacific populations. Secondly, it may result in better support for smokers to quit, and effective quitting support will be vital to ensure achievement of Smokefree 2025. However, as well as examining provider performance, it is vital that the realignment addresses systems issues such as how the Ministry and DHBs oversee the organisation and delivery of cessation services; including level of funding, quality control, monitoring and evaluation, and training (for further details see our letter (1)). Improving cessation support alone will not be sufficient to achieve the 2025 goal. We believe the biggest threat to the 2025 goal is insufficient central government planning and action at a national population level. Achieving substantial reductions in smoking prevalence requires a multifaceted, comprehensive approach that creates an environment discouraging smoking initiation while encouraging and supporting existing smokers to quit and stay quit. This environment requires a policy agenda that better controls tobacco marketing and promotion, sufficiently increases the price of tobacco, reduces places where tobacco may be consumed, decreases the availability of tobacco, and provides on-going cues to quit via mass media campaigns. All these measures are evidence-based and evidence of their effectiveness in NZ has also been established. New ideas, such as tobacco product regulation, including removing additives (as per Brazil), reducing nicotine, or phasing down the number of tobacco retail outlets also merit further consideration. Some policy can be introduced at local level (e.g. smokefree bylaws for outside public areas such as children’s playgrounds), but most require national policy, and thus depend on Government leadership. Many of these measures were recommended in the 2010 Māori Affairs Select Committee (MASC) report, which first advanced the Smokefree 2025 goal (6). However, even where the Government’s response supported recommendations (7), full implementation has often not occurred. For example, expenditure on mass media tobacco control campaigns, a proven evidence-based approach, actually fell in the years following adoption of the Smokefree 2025 goal (8). While the Government undertook to “consider” other recommendations, such as reducing nicotine and additives in tobacco products, and reducing tobacco availability (7), five years on, there has been no apparent progress. The Review of tobacco control services also recommended that the Ministry of Health work with the Health Promotion Agency to expand awareness of, engagement with, and positive support for, the Smokefree 2025 goal. Such work is particularly important, given evidence many people misunderstand the goal (9). We hope the realignment responds to confusion over the 2025 goal by supporting more effective national and local health promotion, advocacy, and policy. Specifically, the realignment must engage stakeholders across government departments and in business, and stimulate greater community engagement with the Smokefree 2025 goal. Crucially, an ambitious goal like Smokefree 2025 requires a clear and comprehensive action plan. The Māori Affairs Select Committee report into the tobacco industry (7) recommended a national tobacco control strategy. Inexplicably, the Government did not accept this recommendation (7). The Review of tobacco control services report has echoed the MASC report and the realignment represents an important opportunity for the Ministry of Health to develop a national action plan that will achieve Smokefree 2025 (3). In the absence of a plan, the National Smokefree Working Group, which comprises tobacco control sector representatives (including national advocacy groups), recommended a comprehensive range of national actions for 2011-2015 (10). However, of these recommendations, only tobacco tax and action on duty free sales will have been partially addressed by the end of 2015. Ironically, the national advocacy organisations under review in the realignment have consistently argued against a business as usual approach and called for more effective policy measures. Specifically, they have called for a national action plan and greater recognition of priority groups, including Māori and Pacific smokers. In summary, there are potentially some welcome aspects of the proposed realignment of tobacco control services. We hope it will improve New Zealand’s smoking cessation support services by enhancing their reach among high prevalence groups and increasing their effectiveness. We also hope the realignment will result in more effective communication of the Smokefree 2025 goal, facilitate development of local strategies and interventions, and promote community engagement. Achieving these outcomes will require the proposed realignment to go beyond evaluating providers; to ensure the Smokefree 2025 is achieved, the realignment must also examine how the Ministry of Health and DHBs can implement better organisation, targeting, quality control, monitoring and evaluation. The proposed engagement process for the realignment must also be genuine, positive and comprehensive so tobacco control services have appropriate input into the new systems and services that are put in place. Yet, even if the realignment includes these approaches, it will leave unaddressed the need for a national action plan. The National Smokefree Working Group has now developed a new action plan for 2015-2018 (11). A key output from the realignment should be a national plan setting out the specific measures, policy agenda, and timescales to create an environment that protects all New Zealanders from the scourge of tobacco and ensures achievement of the world-leading smokefree goal by 2025. Edwards R, Hoek J, Beaglehole R, Wilson N, Thomson G, Cunningham C. Realignment of tobacco control services—will it be sufficient to achieve the nation’s Smokefree 2025 Goal? N Z Med J 2015;128(1413);84-87. Casswell S, Wall M, Lin J, et al. Review of Tobacco Control Services. Wellington: Ministry of Health, 2014. Cobiac LJ, Ikeda T, Nghiem N, et al. Modelling the implications of regular increases in tobacco taxation in the tobacco endgame. Tob Control. 2015; 24(2), 139-145.
van der Deen FS, Ikeda T, Cobiac L, et al. Projecting future smoking prevalence to 2025 and beyond in New Zealand using smoking prevalence data from the 2013 Census. N Z Med J. 2013; 127:71-9. New Zealand Parliament. Inquiry into the tobacco industry in Aotearoa and the consequences of tobacco use for Māori. Report of the Māori Affairs Select Committee. Wellington: New Zealand Parliament, 2010. NZ Parliament. Government Response to the Report of the Māori Affairs Committee on its Inquiry into the tobacco industry in Aotearoa and the consequences of tobacco use for Māori (Final Response). Wellington: New Zealand Parliament, 2011. Edwards R, Hoek J, van der Deen F. Smokefree 2025–use of mass media in New Zealand lacks alignment with evidence and needs. Aust N Z J Public Health. 2014; 38:395-396. Gendall P, Hoek J, Edwards R. What Does the 2025 Goal Mean to the New Zealand Public? N Z Med J. 2014; 127:1406. National Smokefree Working Group. 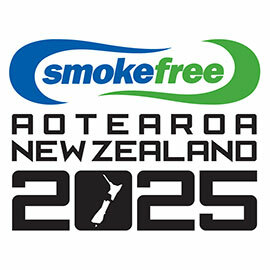 Smokefree Aotearoa/New Zealand by 2025. Next Steps 2011-2015. Wellington: National Smokefree Working Group, 2012. National Smokefree Working Group. Smokefree Aotearoa 2025: Action Plan 2015-2018. Wellington: National Smokefree Working Group, 2015.